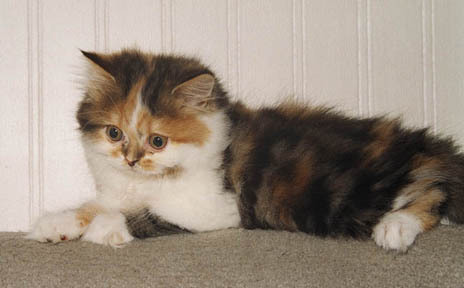 This is a brown-patched classic tabby and white girl. She has long hair and straight ears. She is an active girl who loves to play with the other kittens. She is extremely confident and brave with the older cats.